The Rockwood Geo Pro travel trailer is an incredibly fuel efficient travel trailer that’s a great option for anyone looking for an RV that can be towed by a lightweight vehicle or crossover vehicle. Whether you’re environmentally conscious or you’re simply looking for a lightweight RV, this travel trailer is a great option for anyone seeking quality and comfort. 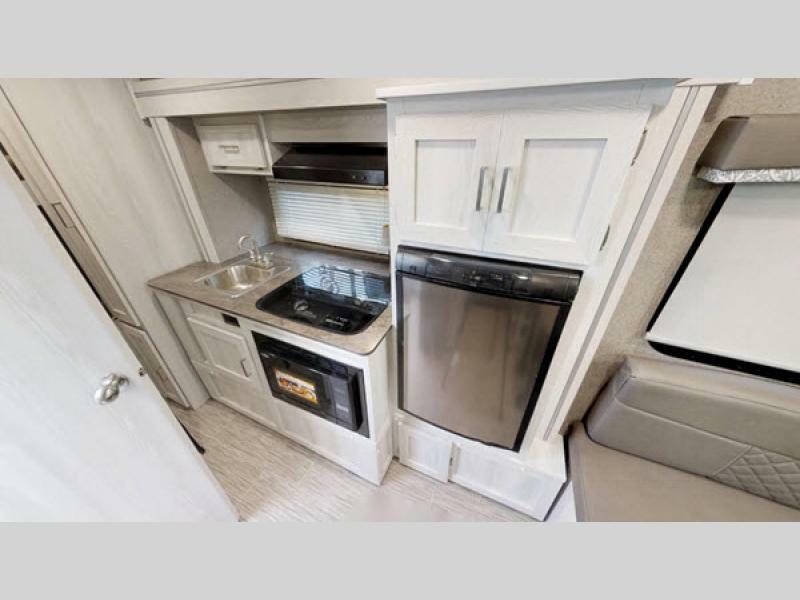 A great kitchen is an important part of enjoying your RV experience. Whether you’re cooking a meal from scratch or heating up leftovers, this kitchen has everything you need to create amazing meals. Hit the road and enjoy picking up ingredients from local farmers markets and creating incredible meals. 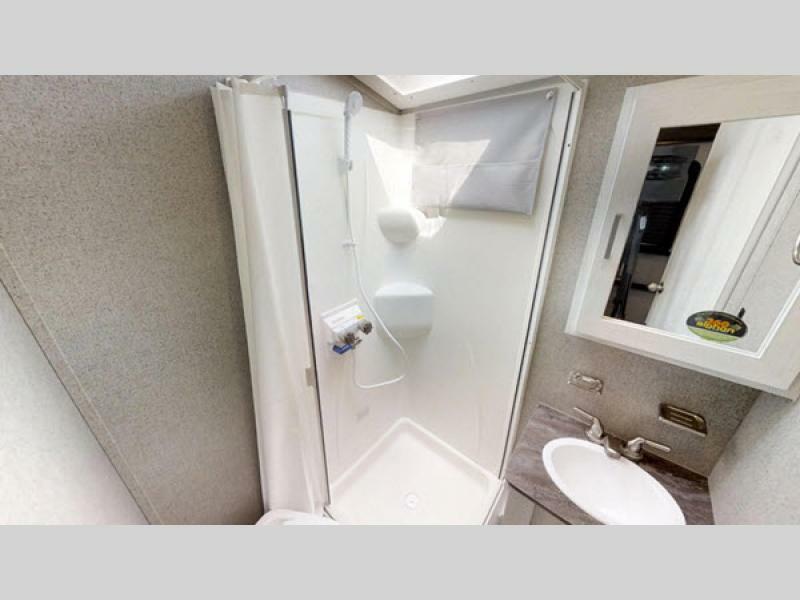 One of the best things about the Rockwood Geo Pro travel trailer is the spacious bathroom. From the large corner shower to the medicine cabinet for storage to the stink and toilet, this space comes with everything needed to get ready for the day or unwind. At the end of the day it’s nice to have a place to unwind and relax at the end of the day. From the plush mattress at the front of the RV to the sofa along the wall, there’s tons of space for you to unwind, relax, and get a great night’s rest. 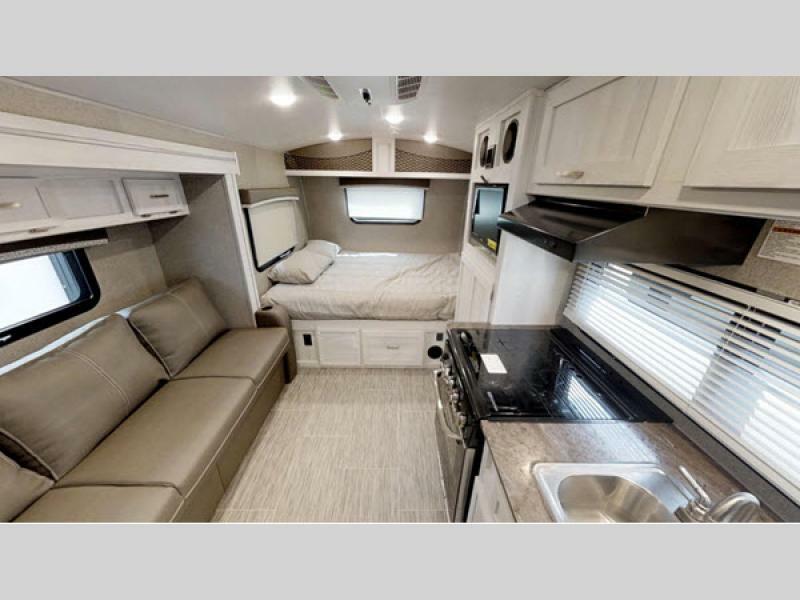 There is truly nothing better than knowing that you have a comfortable place to relax and unwind, and even more than that you will appreciate knowing that you have will have a real home on the road. If you’re interested in learning more about our selection of Rockwood Geo Pro travel trailers for sale, contact us. We can answer any questions you have and help you find the best RV for your needs. We can also assist with RV financing.